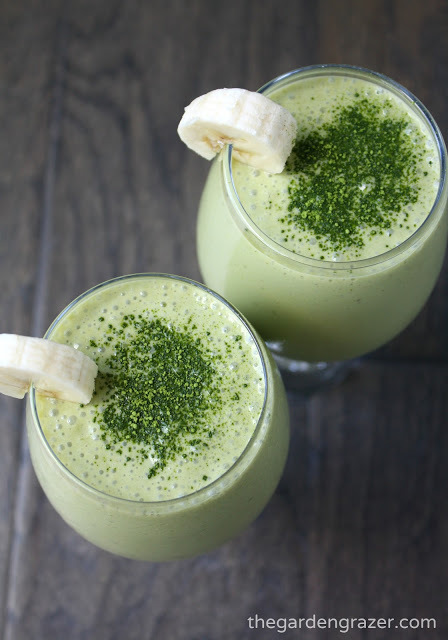 This Coconut Vanilla Matcha Smoothie is a light, refreshing way to get your daily dose of zenergy and antioxidants! Matcha pairs beautifully with coconut, banana, and pineapple. I have a small confession to make: I’ve never been a fan of coconut! But I really want to be, so I keep trying 🙂 I’ve heard that matcha & coconut is a lovely combination, and given my deep love of matcha, I knew I had to give it a try. The verdict? I can honestly say it was the first time I ever enjoyed coconut! Turns out all it needed was a little matcha magic. I usually think coconut overpowers everything but it doesn’t here at all. 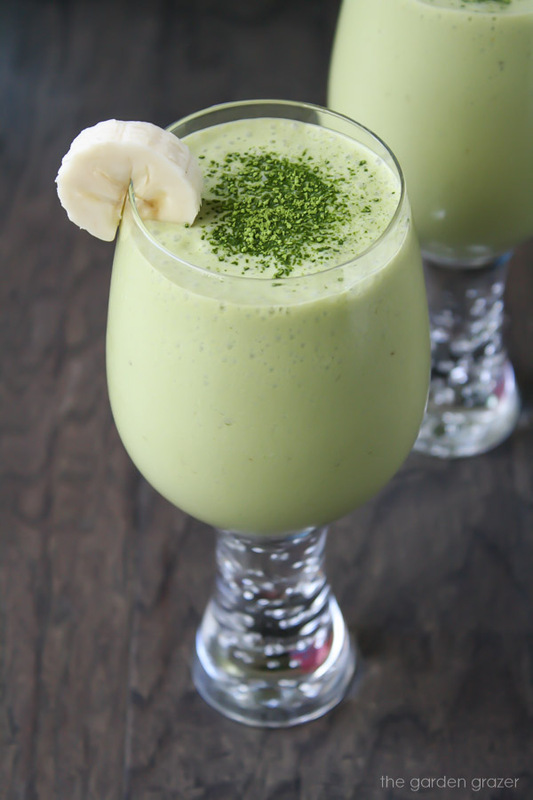 It’s such a light, refreshing smoothie with a wonderful balance of flavors. Another great way to change up my daily matcha routine! PS – come join The Garden Grazer on Instagram 🍓 and share your matcha pics if you get the chance! I love seeing them! 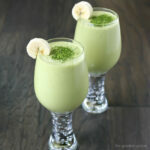 Coconut Vanilla Matcha Smoothie is a light, refreshing way to get your daily dose of zenergy and antioxidants! Matcha pairs beautifully with coconut, banana, and pineapple. Adjust sweetness by adding more agave if desired. Any grade of matcha will work with this recipe; ceremonial, latte, or culinary! Here’s the matcha brand I LOVE and recommend. Wow this looks so delicious and refreshing! Perfect for summer 🙂 I am a huge coconut lover! Whoa – heat wave already!! These would be the perfect solution! 😉 Are you a matcha drinker too? Hi Nancy! Matcha is incredible, isn't it? 🙂 What's your favorite way to prepare it? Hope you enjoy the smoothie! Hi Barbara! Definitely! I've used ceremonial, latte, and culinary grade for this before 🙂 Are you new to matcha? It's amazing stuff! Wishing you a very happy new year! Just made this delicious smoothie, definitely be making it again. The pineapple and banana made it really refreshing for summer.